According to the UK’s Health and Safety Executive (HSE), there are approximately 12,000 deaths a year due to occupational respiratory diseases, about two-thirds of which are due to asbestos-related diseases or COPD (Chronic obstructive pulmonary disease). Furthermore, there are currently 10,000 new cases of breathing or lung problems caused or made worse by work each year. Of course, some industries have a higher incidence rate than others including construction, mining and automotive, therefore these areas must be given priority. Here Bob Wells, Global Head of Personal Safety at BSI explores some of the PPE products available on the market to help organisations ensure their employees are protected. Some of the most common hazards in the workplace include smoke and dust inhalation, vapours and oxygen deficiency which could happen in any industry, therefore it’s vital that Respiratory Protective Equipment (RPE) offers protection against these dangers. With the annual cost of sickness absence now costing organisations in the UK alone almost £29 billion2, it’s more important than ever that employers protect their staff from such conditions. The protection factors provided by RPE are laid out in BS EN 529:2005; Guide to implementing an effective respiratory device programme. It provides advice for the selection, use, care and maintenance of respiratory protective devices, as well as highlighting important aspects to which attention should be given. Respiratory products might include filtering face (dust) masks, half and quarter masks, powered hoods and helmets and full face masks, as well as self-contained breathing apparatus used by fire fighters. Fire fighter breathing equipment undergoes a flame engulfment test to simulate a flash over in a building to ensure it can still function after this extreme event. All respiratory equipment must undergo type examination using a Notified Body before CE marking can be affixed and as it is classed as Category III ‘complex PPE’ the manufacturer needs to either have the product tested annually or an annual assessment on the quality system of the factory where it is made. Where the respiratory device is incorporated with headwear, eyewear or hearing protection or incorporates electronic devices, testing should be carried out on all elements. PPE can be defined as “any device to be worn or held by users for protection against one or more health and safety hazards”. From domestic DIY environments, right through to heavy industries and fire fighting applications, PPE is vital for safety. To meet legislation requirements in the EU, PPE manufacturers must ensure their products conform to the relevant National, European or International Standard or to a Technical Specification and are CE marked to the PPE Directive 89/686/EEC. The PPE Directive 89/686/EEC is a fundamental piece of European legislation relating to occupational safety throughout Europe. The PPE Directive was one of the first New Approach Directives and is now over 20 years old. In order to reflect current technologies and processes for developing and bringing PPE to the market, it has been updated. It is also important to bring it in line with other Directives that have undergone a revision in recent years. What are the main changes to be aware of? What are the different categories of PPE? PPE in this category is designed to protect users against minimal risks. These include superficial mechanical injury, contact with water or cleaning materials of weak action and contact with hot surfaces not exceeding 50°C. PPE in this category protects users against risks other than those listed in categories I and III, as well as made-to-measure PPE (excluding PPE that falls under category 1). This includes products such as safety spectacles and goggles, industrial helmets and bump caps and bicycle helmets. PPE falling under this category is designed to protect against mortal danger or dangers that may seriously and irreversibly harm health; the immediate effects of which the designer assumes that the end user cannot identify in sufficient time. Risks include inhalation of harmful substances, aggressive chemicals and high-temperature environments the effects of which are comparable to those of an air temperature of at least 100°C. How is respiratory equipment tested? We recently invested in a second TIL (Total Inward Leakage) rig at our laboratories in Hemel Hempstead. The purpose of the rig is to check the overall effectiveness of a range of respiratory protective masks and hoods - from dust masks for DIY, to masks used by fire fighters. The purpose of this is to help to meet manufacturer’s timescales and capacity in the future, as well as enabling clients to use the facilities for research and development work, while other testing work is carried out in the lab. What should employers look for? To keep employees safe in the workplace and reduce health risks, it is up to employers to invest in the right protective equipment. So what should they look for? CE marking on a product is the manufacturer’s declaration that the product complies with the essential requirements of all the Directives that apply to it. It indicates to the appropriate bodies that the product may be legally offered for sale in their country. The requirements for CE marking differ across all the Directives and may also vary for different products within a Directive. Depending on the product, CE marking may be as simple as formulating a technical file, or as complex as having to submit your products to regular independent scrutiny. Third party testing, systems assessment and technical file assessments may be mandatory, but sometimes the manufacturer’s unverified claim is all that’s asked for. What other protection is available? Advances in the technology of respiratory products mean that they may now incorporate headwear, eyewear or hearing protection and some products may also incorporate electronic devices. The following are some of the other types of protection that might be required. From industrial safety helmets to helmets for fire fighters, there is a huge range of head protection products out there. All helmets should undergo rigorous testing to ensure that they meet the minimum safety requirements and can display CE marking. Headwear is usually placed onto a ‘headform’ and tests are carried out to check if a helmet stays on the head during an impact. In the impact test, a headform is dropped from a specific height onto an anvil which simulates the helmet hitting a hard surface. Although this may cause the helmet some damage, the important part of this is ensuring that it would protect the user’s head in the event of an accident. Other helmet tests may include retention strength and effectiveness, penetration resistance, lateral crush and flammability. Protective eyewear can essentially be divided in three groups – spectacles, goggles and face shields – with each type of eye protector offering a different level of protection. In addition to certain design, manufacturing and other basic requirements, eyewear standards also include optional requirements that protect employees from unfavourable conditions. These include resistance to abrasion or fogging, and higher levels of protection against an identified health and safety hazard. of mechanical test requirements which have been developed around the specific fields of protective eyewear use. Invariably, protective eyewear standards include impact testing (EN 166:2001). EN166 is just one of numerous eyewear standards that include an impact test. During this particular evaluation, eye protectors are tested for robustness. The products’ robustness is put to the test by dropping a 22mm steel ball from a height of 1.3m onto the lenses. Lateral protection is evaluated to ensure it covers the eyes adequately. An additional optional test can be applied for eye protection where it is designed to protect against high speed particles. To see if an eye protector would safeguard its user against high speed particles, 6mm-sized ball bearings are projected onto the eyewear at one of three impact velocities, including 45m/s, 120m/s or 190m/s – depending on the level of protection claimed. This test can also be done in extreme temperatures (+55°C and -5°C). If the eyewear shows any major fractures, signs of penetration, or separation of the lens from the frame after testing, it has failed to meet the required standards – and would not be safe enough to use in the workplace. Other testing includes checking the eyewear for their resistance to ignition and the strength of spectacle frames. Excessive noise is prevalent in many industries as well as personal pursuits. The Control of Noise at Work Regulations 2005 places the level at which employers must provide hearing protection and hearing protection zones at 85 decibels (average/daily exposure). The level at which employers must make a workers' risk assessment and provide information and training is now 80 decibels. There is also a ceiling of 87 decibels (taking into account hearing protection) above which workers should not be exposed. 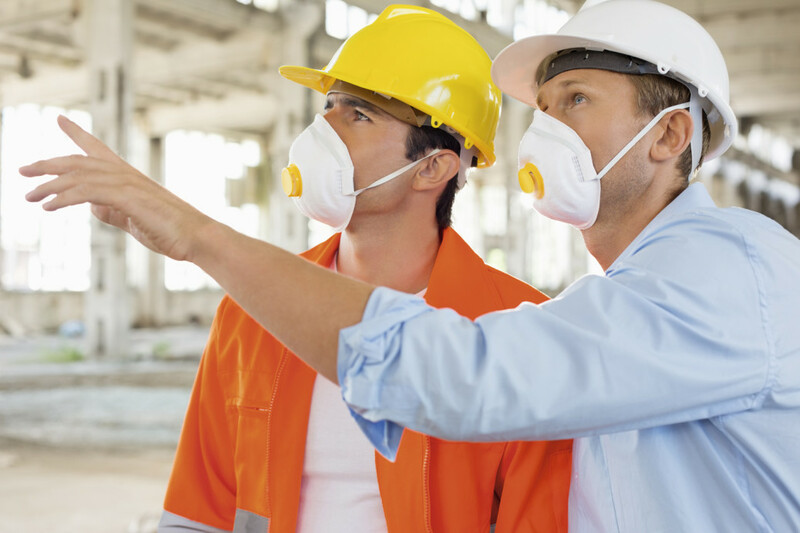 Employees have a right to be safe in the workplace and employers must provide the correct level of protection to prevent respiratory conditions. With a growing number of cheaper imports entering the market, organisations need to be aware of what to look for when choosing respiratory protection – and other personal protection equipment. It’s important that organisations partner with someone that has the knowledge and expertise to keep them up to date with any changes to standards and regulations that might impact those products that are provided to employees.